Map Pilot of iOS relies on the DJI SDK for hardware control and video transmission. That means we can only support the hardware that DJI adds support for.  * Matrice 200/210/600/600P with Sony a7R and other custom camera sensors will require a Drones Made Easy custom trigger board that will only be sold as fully integrated kits built by Drones Made Easy. Email for more details. * Phantom 4 Pro v2 is supported. Phantom 4 Pro Plus version is not supported. DJI makes a lot of firmware and SDK changes and they are not always backwards compatible. We try our best to stay on top of these changes but if any issues are encountered on supported aircraft, please give us a detailed report so we can try to fix the issue. X5 RAW is not explicitly tested with and is not necessarily supported. Does anyone have experience with Phantom 4 yet? Will it do any better than Phantom 3 Professional in term of flight speed, image quality...? My Phantom 3 Professional sometimes give me too yellow pictures. Can i use it safely?? Why there is no specific firmware support now? Does this mean the latest app supports latest firmware? Map Pilot will support all of the latest firmwares unless specifically noted. How about the Inspire 1 Pro Firmware v1.9.1.30. Is it ok to upgrade? Nice app, I used it on many projet and got greath result. Keep working hard! why Phantom 3 4K is not on the list? Hey, the Z3 camera has been released and have a zoom from 4 to 14 mm. Can you had it ? Thanks a lot for your excellent work who makes this app one of the best photogrammetry app ! DJI has not added support for the Z3 camera to the SDK. We can't add it until they do so. The DJI Go app and Map Pilot require an A7 processor or better. This processor was introduced into he iPad Mini line at the Mini 2. It was introduced into the iPhone at the 5S. I don't see the option for the Inspire 2 X4s in the list on the app? Normal? What is the good option in the list? I got an issue with new firmware 1.11.20 on phantom 3 advanced. After i upload the flight path and press start to take off, the map pilot app say FLIGHT OUTSIDE MAXIMUM FLIGHT RADIUS. I tap yes or no, same, didnt respond, cant take off. FYI Filght distance setting on dji go app has been switched off. Is the DJI Matrice 200 presently supported, if not can you advise when it will be? Ed: The Matrice 200 is on the list above. It has been on the supported hardware list since August 15th. About the 'Inspire 2 has issues with pointing the camera' any possible date when that is fixed ? The Inspire 2 should be OK now but we don't have one to test with (ours got crashed and has a broken gimbal). There have been a lot of firmware and SDK updates and it has likely been fixed. We will update the list when we can test it. I did test it today I2 & X4s latest firmware & 2.7 Map-pilot but it's not working. Only aircraft specifically listed here are supported. DJI does not supply waypoint support for some aircraft. For newer aircraft we cannot add Map Pilot support until DJI adds it to the SDK. Does Map Pilot work with a N3&LB2 controlled drone? Just tried the Map Pilot with DJI N3, Lightbridge2 and X3/X5 Camera, does not work unfortunately. are you thinking about implementing this system combination? Could make your software interesting for DIY drones.  Map Pilot supports the hardware that is listed above. The N3 or anything else that is not on this list is not supported. When the app is updated to support Phantom 4 Pro V2.0? We just bought one Phantom 4 Pro V2.0 without expecting that the app does not support this drone yet. DJI has not indicated that the P4P v2 it is different in terms of Map Pilot communicating with it. There are no special provisions for it in the latest version of the SDK's documentation and it is not listed as a separate aircraft. We don't know if that means it is just not supported yet or if there may need to be a firmware update or something to it that will allow it to work. Feel free to email them to ask what the deal is. Zane, I was on the phone with DJI today, and checked on their website, they have NOT yet released the SDK for the Phantom 4 Pro v2.0 but "are working on it." So other than DJI Go4 app, none of the other apps work with it (even DJI's own GS Pro app for mapping). Could be a few weeks or months till that is out, who knows.